If we do know that many hip hop artists are influenced by jazz, guys like A Tribe Called Quest, Nas, Flying Lotus, The Roots or Outkast, it is less known by a relatively wide audience that some jazz artists are influenced by hip hop, Miles Davis back in the eighties already, then Steve Coleman but also Medeski, Martin & Wood, or lately at least two among the most interesting pianists Craig Taborn and Matthew Shipp. 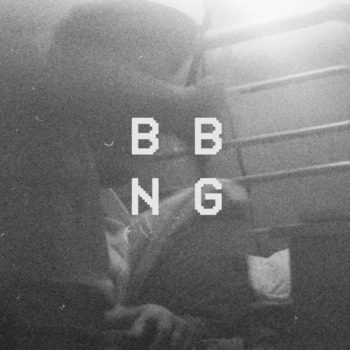 Nevertheless, this young Canadian trio BADBADNOTGOOD, this guys are around 20 year old, takes hip hop from the inside out, I mean, the music that's relevant to them is hip hop, so they have decided to cover old and new hip hop tracks in a similar manner as more traditional jazz musicians are reinterpreting jazz bebop to hard bop or even pop/rock standards. These guys are giving jazz the possibility to appeal a much younger audience compared to most contemporary jazz which is marketed for an adult one, and it's always a good thing : jazz is still pretty much alive, for sure. Besides, BADBADNOTGOOD collaborated with Odd Future's frontman Tyler, The Creator. Swag! Check this out. A very interesting and surprisingly enjoyable album full of tough hip hop beats played live and some pretty inspired solos by both keyboards and electric bass. You can find here reinterpretations of "Mass Appeal" by Gang Starr, "The World is Yours" by Nas, "Camel" by Flying Lotus, "Fall in Love" by Slum Village and even "Transmission" by Joy Division (that's no hip hop, spooky), without forgetting the long medley "Title Theme/Saria's Song/Song of Storms" from Nintendo 64 video game "The Legend of Zelda : Ocarina of Time", for the ones who know it, not my case. The album is downloadable for free and with the blessing of the band here. In between time, these chaps have issued a live album which you may also stream and free download on their bandcamp page. Such generosity is very much appreciated.